Craig Hammer from the World Bank has tackled this issue, stating that “Open Data could be the game changer when it comes to eradicating global poverty”, but only if governments make available online data that become actionable intelligence: a launch pad for investigation, analysis, triangulation, and improved decision making at all levels. As Hammer wrote in a blog post for the Harvard Business Review, while the "opening" has generated excitement from development experts, donors, several government champions, and the increasingly mighty geek community, the hard reality is that much of the public has been left behind, or tacked on as an afterthought. Let`s get out of the building and start working for the end user. Regular folks don't know what “open data” means. Actually, they probably don't care what we call it and don't know if they need it. Apple’s Steve Jobs said that a lot of times, people don't know what they want until you show it to them. We need to stop telling them they need it and start showing them why they need it, through actionable user experience. A study of the use of open data and transparency in Chile showed the top 10 uses were for things that affect their lives directly for better or for worse: data on government subsidies and support, legal certificates, information services, paperwork. If the data doesn't speak to priorities at the household or individual level, we've lost the value of both the “opening” of data, and the data itself. We need to give people “better tools to not only consume, but to create and manipulate data,” says my colleague Alvaro Graves, Poderopedia’s semantic web developer and researcher. This is what Code for America does, and it’s also what happened with the advent of Web 2.0, when the availability of better tools, such as blogging platforms, helped people create and share content. Everyone talks about open data the way they used to talk about QR codes--as something ground breaking. But as with QR Codes, open data only succeeds with the proper context to satisfy the needs of citizens. Context is the most important thing to funnel use and success of open data as a tool for global change. Geeks became popular because they made useful and cool things that could be embraced by end users. Open data geeks need to stick with that program. Jorge Lanata, a famous Argentinian journalist who is now being targeted by the Cristina Fernández administration due to his unfolding of government corruption scandals, once said that 50 percent of the success of a story or newspaper is assured if journalists like it. That’s true of open data as well. If journalists understand its value for the public interest and learn how to use it, so will the public. And if they do, the winds of change will blow. Governments and the private sector will be forced to provide better, more up-to-date and standardized data. 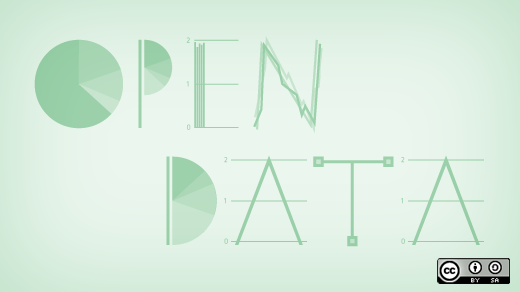 Open data will be understood not as a concept but as a public information source as relevant as any other. We need to teach Latin American journalists to be part of this. In order to boost the use of open data by journalists we need news nerds, teams of lightweight and tech-heavy armored journalist-programmers who can teach colleagues how open data through brings us high-impact storytelling that can change public policies and hold authorities accountable. I call them News Ninja Nerds, accelerator taskforces that can foster innovationsin news, data and transparency in a speedy way, saving governments and organizations time and a lot of money. Projects like ProPublica’s Dollars For Docs are great examples of what can be achieved if you mix FOIA, open data and the will to provide news in the public interest. Part of the reasons people don't embrace concepts such as open data is because it is part of a lingo that has nothing to do with them. No empathy involved. Let's start talking about people's right to know and use the data generated by governments. As Tim O'Reilly puts it: "Government as a Platform for Greatness," with examples we can relate to, instead of dead .PDF's and dirty databases. Investigative Reporting can benefit from it. But “but there is no substitute for the kind of street-level digging, personal interviews, and detective work” great journalism projects entailed, says David Kaplan in a great post entitled, Why Open Data is Not Enough. As Matt Waite, Politifact creator and Drone Journalism Lab director, notes, robots cannot replace humans complexity. They can’t think like we do. ICFJ Knight International Journalism Fellow Miguel Paz is a Chilean journalist and founder and CEO of Poderopedia, a data journalism website that highlights links among Chile’s business and political elites. Image CC-licensed on Flickr here.